A fun little project I completed awhile back has finally seen the light of day. My parents have been eagerly awaiting their new teardrop trailer from Oregon Trail’R for over a year, and they’d named it before they’d even made the down payment. I designed the name decal, with a gentle arc and a font that has a bit of the same retro feel as the trailer design. 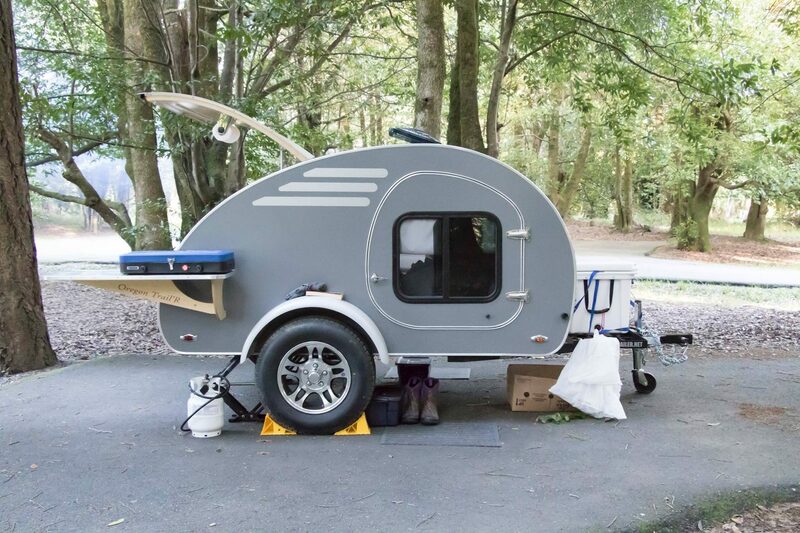 The trailer itself is a lovely example of industrial design. The careful use of all available space is reminiscent of a boat, and has the same charm. The table that latches onto the side of the trailer when it’s parked is stowed over the ‘foot’ end of the sleeping compartment, under the cupboards of the galley (it really wants to be described in nautical terms — I keep thinking of the back as the stern). I got to clamber inside when they got back from their shakedown cruise. Pretty comfy! Brave Horatio is one handsome fellow! His name placement reminds me of some classic upper back tattoos, but in a much more elegant font. Brava Skellington! Memory Lane ahoy! We had one of these when we first got married back in the 60s, but it lacked most of the amenities Horatio seems to boast, and it had smaller wheels IIRC. 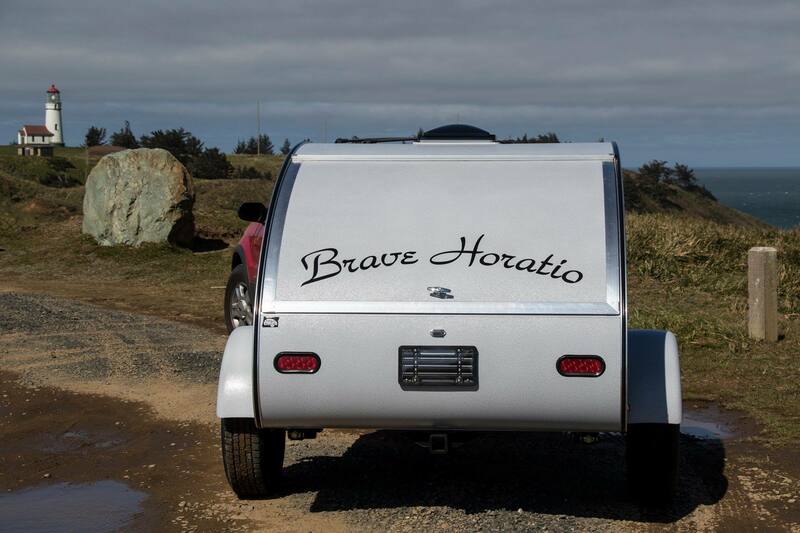 All the best to your folks for their adventures with Brave Horatio. I don't know which of the many optional amenities they chose out of those available. Some of the other models have even bigger wheels and are built for off-roading, but they don't have the charm.